Kate Donne lives in Dollar, Clackmannanshire. She graduated from the Royal Conservatoire of Scotland with a BA Degree in Dramatic Studies. Kate has spent many years involved in the arts and has been a professional singer, a director of musical theatre and an actress in many plays and musicals. Now, as well as running her own personal development company, she spends her spare time writing. 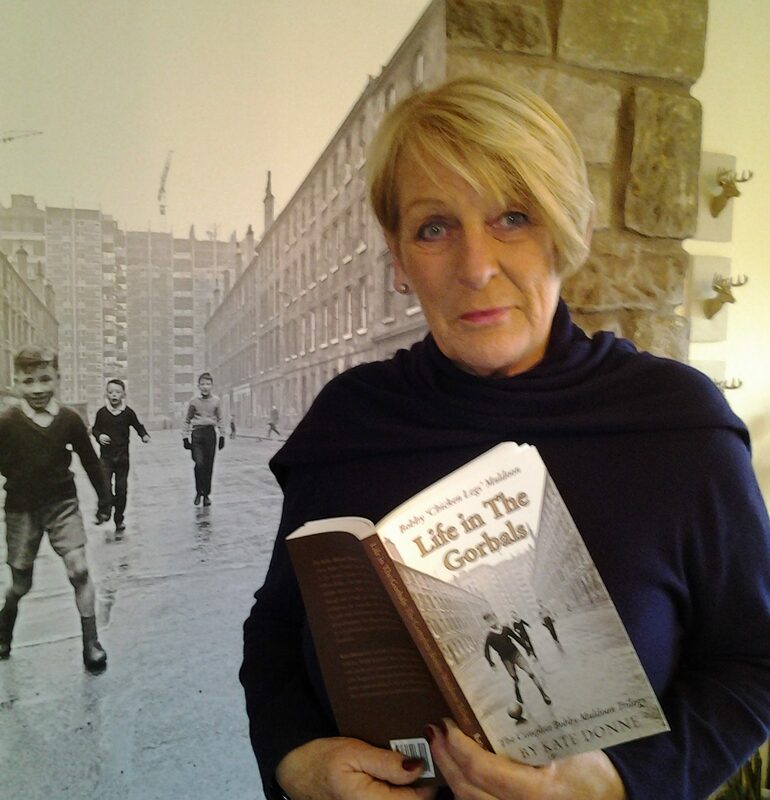 The Bobby Muldoon Trilogy follows the trials and tribulations of young Bobby ‘Chicken Legs’ Muldoon as he grows up in the Gorbals area of late 1960s Glasgow. Entirely written in Glaswegian Scots, books one and two (The Wit and Wisdom of Bobby ‘Chicken Legs’ Muldoon and Life and Love in The Gorbals) are available now and book three (Fame and Fortune in The Gorbals ) will be out at the end of September 2018. An adaptation for the stage is still under construction!